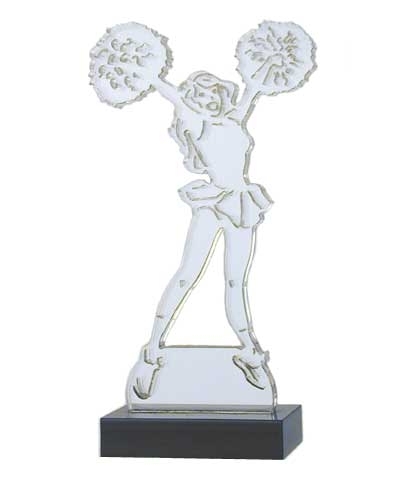 Crystal clear acrylic has been laser cut to silhoutte a cheerleader in action. This 6"x6" figure with a slip in base of black acrylic. You can turn this art into an award.